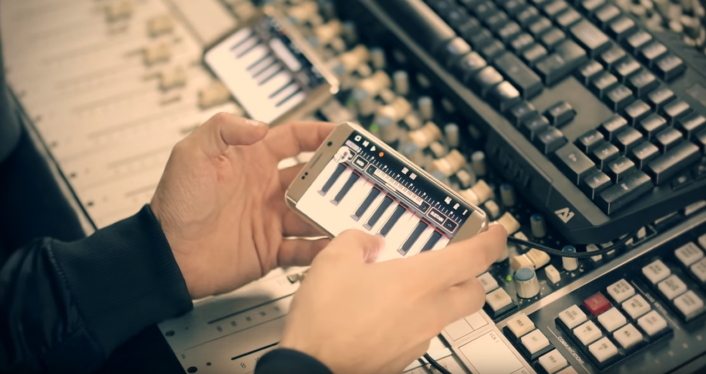 With the release of the Galaxy S7 and S7 edge on March 11, Samsung also released a 2016 version of its brand sound “Over the Horizon,” this time radically re-imagined by Swedish pop-funk group Dirty Loops. The new version is a fun and jazzy new take on the Galaxy’s signature sound. Want to know more about how the group and the track’s producer created it? Then read on, and check out the video below. To some extent, the Galaxy brand sound is unique in terms of the way people listen to it. After all, most people do not listen to a brand sound in quite the same way as they would, say, listen to their favorite songs. The track comes pre-loaded on all Galaxy S7 and S7 edge phones, so users can take a listen to it using the Music app. Samsung and Dirty Loops hope “Over the Horizon” new pop-fuelled sound will help to increase the sound’s appeal. To learn more about how this latest version of “Over the Horizon” compares with the 2015 version of the brand sound, check out this story.